Latest Mediacorp Channel 8's Chinese Drama “Say Cheese, 西瓜甜不甜” is a heart-warming family drama. The series will also see the characters exploring their moral and value boundaries when faced with loved ones who challenge those beliefs. Exploring three generation's family relationship with enjoyable humors story lines. Starring Romeo Tan, Joanne Peh, Royson Tan, Cynthia Koh, Chen LiPing, Kimberly Chia, Lin MeiJiao, Suhaimi Yusof etc. The theme song of the project “Say Cheese” was produced by Mediacorp Audio Post. 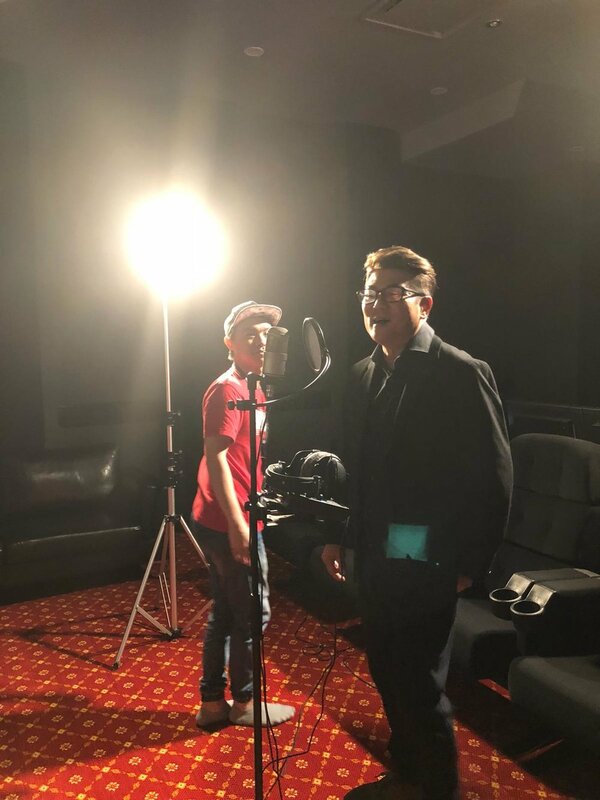 A collaborative effort between well know local movie director Jack Neo and Mediacorp Sound Designers. Audio Post Sound Designer Matthew Teng is the composer for this project. The process began with a thorough reading of the script and participation in the initial design meetings with lyricist Jack Neo, Executive Director Winnie Wang and Music & Effects Director Mo Ju Li as early as May 18. 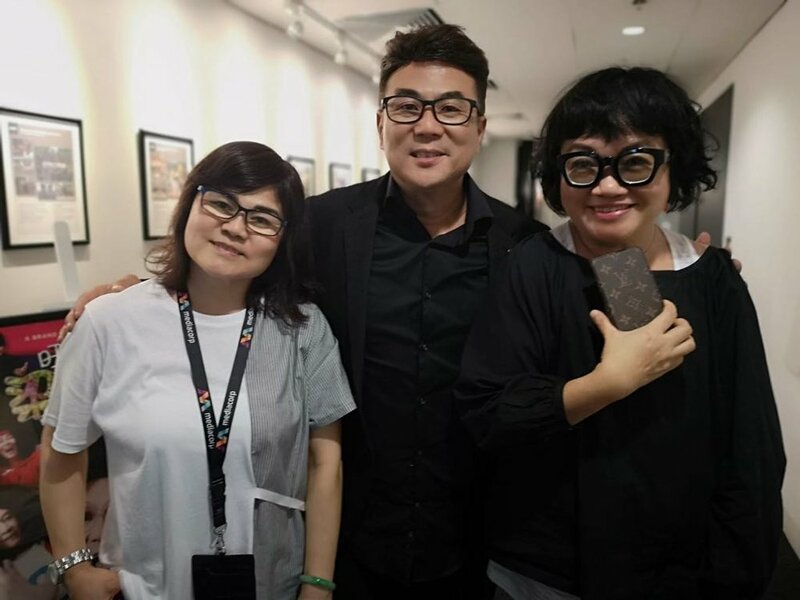 From left : EP Winnie Wong, Jack Neo and Music & Sound Effect Director Mo Ju Li. It took Matthew several days to artistically use several software plug-ins, synthesizers, and audio samplers to put together his initial composition and arrangements. The master demo piece with lyrics was eventually approved after several rounds of amendments. 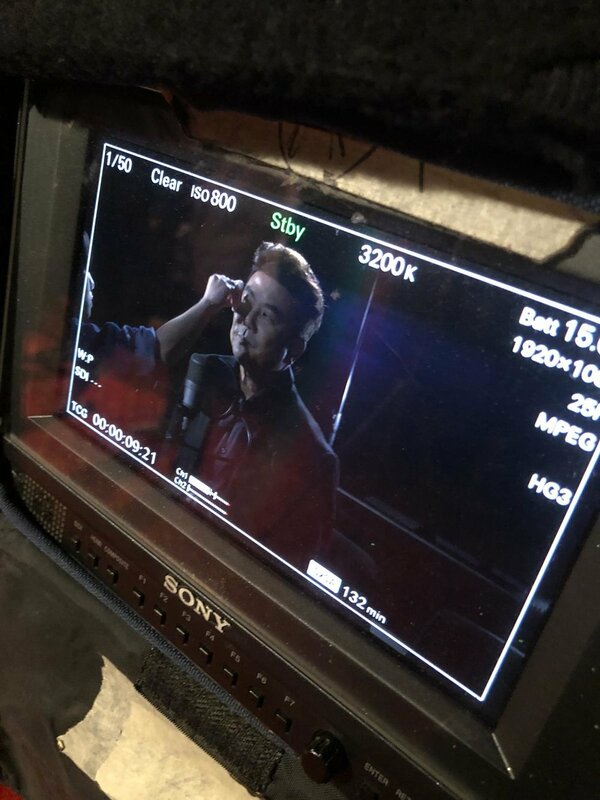 Multi-talented Jack Neo was tasked to be the vocalist of the theme song. The vocal recording session was a long and tedious process. The team spent a full day in the recording studio to ensure every note and pitch met everyone's expectations. Finally, the theme song went to the final vocal harmonizing process. Matthew then started his mixing, vocal harmonizing and music arrangements for the final delivery. The theme song production was completed in early June. Catch “Say Cheese, 西瓜甜不甜” debuts on Aug 6, 9pm on Channel 8.